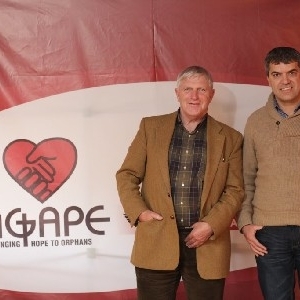 From December 2-6, the 2nd session of Agape’s 10th Annual Ministry School took place in Uzhgorod, Ukraine. The Ministry School is a special program designed to prepare Christians for orphanage ministry, and is made up of 5 week long sessions over the course of a year. 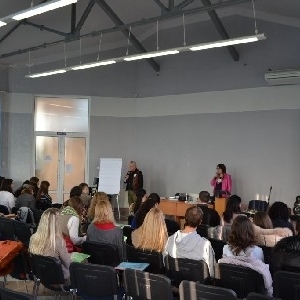 The subjects covered in this session were: working with traumatized children, psychology of traumatized children, types of child raising, and 4 steps to healthy personhood. This session was taught by Jan Simmering, who has 40 years of experience as a counselor and has worked as an orphanage director, as well as director of social service organizations, both government and privately owned. His wisdom, experience and love for people was a true gift for the Ministry School students. Through his teaching, we were able to take a closer look at our own lives, at our successes and failures, and honestly examine the roots of the attitudes and actions that shape our lives. An inseparable part of studying in Agape’s Ministry School are the less formal times of fellowship - evenings of sharing, celebrating birthdays together, sitting up late over a cup of tea (or 5). Honestly, no one wanted to go home! Still, now we have the 3rd session to look forward to! We are grateful to the ‘Nehemiah Learning Center’ of Uzhgorod for giving us such a cozy place to live and study, supplying a warm and welcoming setting as well as delicious food. “Agape is the strength hidden deep in our hearts. Agape causes locked doors to be unbarred. Nor a wounded man bind the wounds of his brothers. For those whose strength is almost gone. Warms hearts wounded along life’s way.